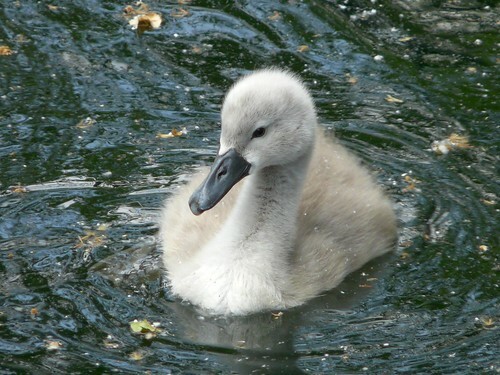 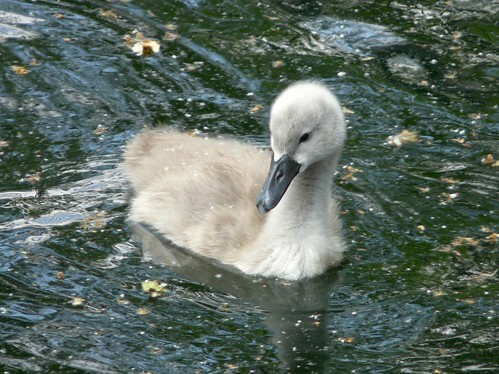 Our cygnets are starting to grow up. 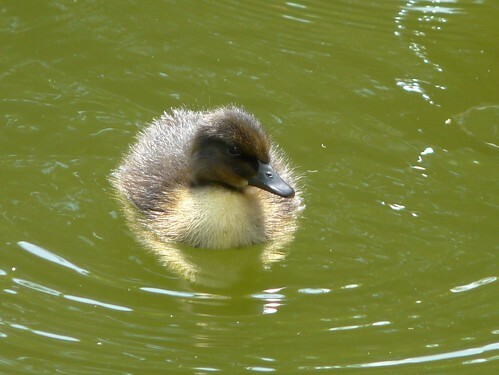 This is a non-standard duckling, because its mother is mostly black with a white front. 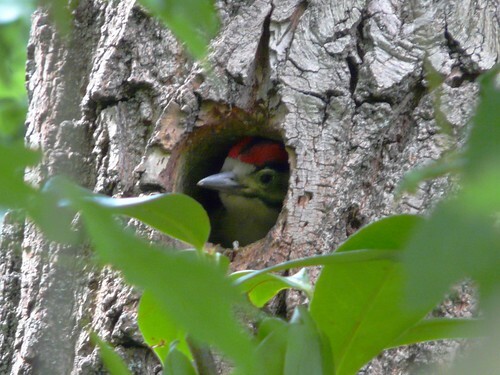 The woodpeckers seem to be spurning the nest-boxes in favour of an actual hole in a tree. 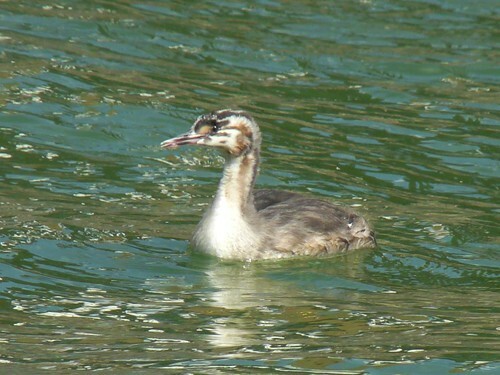 The great crested grebes who were riding on their mother's back recently are now growing up, but still spending 90% of their time letting their parents know that they're starving to death and need to be fed right now. 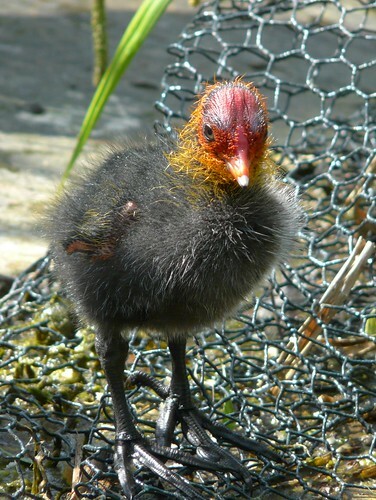 We finally have some baby coots. 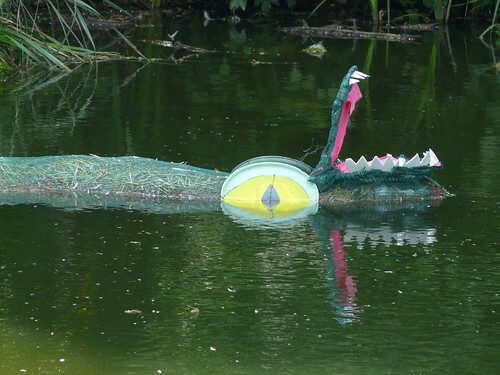 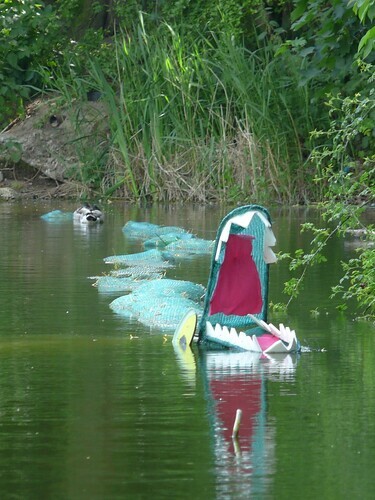 And finally, we seem to have a nasty infestation of crocodiles.